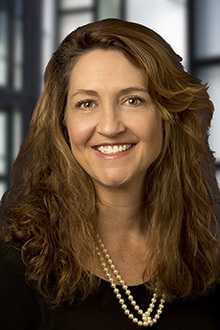 Julie Azevedo is a partner in the San Francisco office of Lewis Brisbois and a member of the General Liability Practice. Ms. Azevedo is an experienced litigator with a diverse civil litigation practice in the defense of insured and self-insured business entities. She regularly represents clients in negotiations, mediation, arbitration and/or litigation in state and federal court involving disputes related to premises liability, products liability, catastrophic injury cases, wrongful death, and construction site accidents. Ms. Azevedo also represents businesses and individuals in labor and employment related matters. She also has counseled professional and general liability insurance companies regarding coverage issues in accountant and legal malpractice claims. Ms. Azevedo has tried civil state court cases to both a jury and judge in California and in Washington. She has handled binding and non-binding arbitrations. Ms. Azevedo conducts training seminars relating to prohibited employment conduct, investigations of claims of wrongful conduct, and documentation of employment actions. She has provided seminars and tutorials on claims handling and insurance regulations for insurance claims departments. She presented a seminar for the Defense Research Institute on insurance fraud.